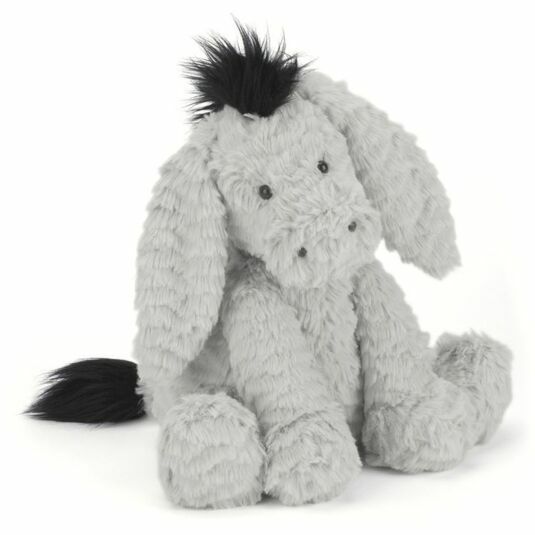 This softly rumpled donkey looks a little sad, but actually he’s just shy. Stroke his floppy ears, squeeze his chunky feet, tidy up his unruly mane and tail and he’ll soon be ready to play! When playtime’s over, his cuddly body will soon soothe your little one to sleep!